Clyde Yancy, MD, MSc, chief of Cardiology, is one of many Northwestern faculty members who lead the creation of national cardiovascular guidelines. Northwestern faculty translate scientific discoveries into clinical guidelines for the nation. In the effort to strengthen bench-to-bedside research, there has been much focus on bridging the gap between a basic science finding and clinical investigation. Equally important, however, is a final step in the pipeline: ensuring that the resulting discoveries, tests and treatments are implemented into clinical practice — where they can truly impact patient health. It’s the reason why many Northwestern faculty have dedicated a significant segment of their careers to creating national cardiovascular guidelines. In November, the American Heart Association (AHA) and the American College of Cardiology (ACC) released much-anticipated new guidelines on the management of blood cholesterol. The guidelines, which called for a more personalized treatment approach, were produced by a writing committee of 24 leading experts in the field — a team that included Northwestern’s own Neil Stone, ’68 MD, ’74 ’75 GME, the Robert Bonow, MD, Professor of Cardiology, as committee vice chair, and Donald Lloyd-Jones, MD, ScM, senior associate dean for Clinical and Translational Research, as a committee member. This was just the latest example in a long history of Northwestern faculty helping to translate scientific evidence into cardiovascular guidelines for the nation’s clinicians. Clyde Yancy, MD, MSc, chief of Cardiology, the Magerstadt Professor and vice dean for Diversity and Inclusion, has also long been a leader in guidelines for heart failure management, while Robert Bonow, MD, the Max and Lilly Goldberg Distinguished Professor of Cardiology, has served on the committee dedicated to heart valve disease guidelines for more than 20 years, including a full decade as chairman. Stone, in fact, has been involved in national cholesterol guidelines since they were released for the first time in 1988. “I enjoy the challenge of finding the best evidence to guide clinical practice,” he said. That process is rigorous and comprehensive. 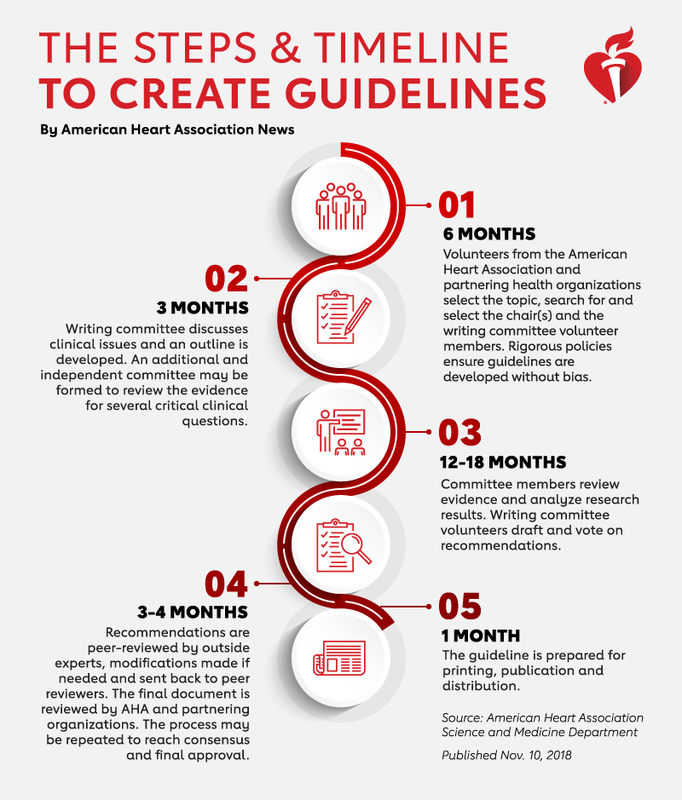 In the area of cardiovascular disease, the AHA and ACC partner to produce what are considered some of the nation’s highest-quality guidelines. To do so, the organizations form a committee of top scientific and medical experts to address a major question or topic. Committee members, who all serve as unpaid volunteers, are carefully chosen to include a variety of perspectives and backgrounds. There are also strict rules governing members’ potential conflict of interests and relationships with industry. The committee members initiate an extensive process of evidence gathering and literature review, where each scientific publication is analyzed carefully to ensure guidelines are driven by the highest standards of research. “There is a very well-established and serious process to make sure we’re not omitting any important data,” Bonow said. The committee discusses the available evidence and votes on recommendations. After a lengthy peer-review process, the guidelines are published and disseminated. Not all recommendations are equal, explained Lloyd-Jones in a recent Breakthroughs podcast. Writing committees use two descriptors to qualify recommendations for clinicians: class of recommendation and level of evidence. Class of recommendation suggests how likely a patient is to benefit in proportion to any risk, ranging from Class I — indicating a strong recommendation for the intervention, treatment or testing — to Class III, indicating strong evidence that it is not beneficial or is even potentially harmful. “We also try to provide a sense to the practitioners of just how much good evidence is behind each of these recommendations,” said Lloyd-Jones, the Eileen M. Foell Professor and chair of Preventive Medicine. For example, Level A indicates that the recommendation was based on data from multiple randomized controlled trials, Level B indicates moderate-quality data, and Level C indicates that there is limited data, but a consensus of expert opinion. Thus, as the quantity of scientific evidence has increased over the years, so has the quality of clinical guidelines. While new evidence encourages updated guidelines, the process can work as a feedback loop: new guidelines also stimulate more research. “One of the consequences of doing these very extensive literature reviews is sorting out where we don’t have answers. And once we do, we want to promote the development of research in that area,” Greenland said. Much of that cardiovascular research is also led by Northwestern investigators. For example, Namratha Kandula, MD, MPH, associate professor of Medicine in the Division of General Internal Medicine and Geriatrics, is a principal investigator of MASALA, the first longitudinal study to investigate heart disease specifically in South Asian communities. When the AHA/ACC released updated cholesterol guidelines in November, they cited findings from MASALA when recommending more personalized treatment plans for patients. Once guidelines are put into practice, investigation also continues in other ways. For example, a recent study led by Lloyd-Jones was the first to assess cardiovascular risk using 2017 AHA/ACC guidelines that lowered the clinical definition for hypertension. The findings, published in JAMA, showed that the new guidelines may indeed help identify young adults at higher risk for cardiovascular events. “The purpose of guidelines is to put out there what we understand, based on today’s evidence, is best practice. And then if the system works, scientists poke and prod and they push and they do new studies to say, ‘Does that really hold up?’’’ Lloyd-Jones said. 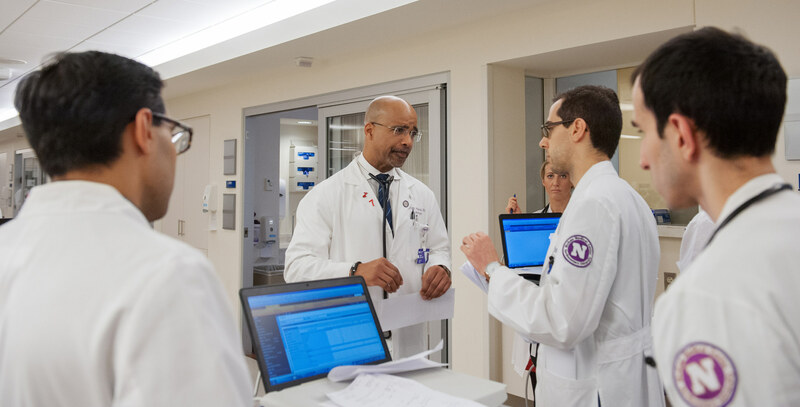 As Northwestern faculty continue their work in guidelines for cardiovascular care, they’re faced with the difficult task of translating an increasing quantity of complex scientific data into clear strategies for a diversity of patients across the country. Investigators in a range of Northwestern departments are actively involved in ensuring that the best scientific evidence is implemented into practice. For example, Maha Hussain, MD, is a leader in genitourinary oncology treatment; Melissa Simon, MD, MPH, ’06 GME, is a member of the U.S. Preventive Services Task Force (USPSTF); and Judith Paice, PhD, RN, builds guidelines for chronic pain in cancer survivors.